Time for my next radical change of the year (the previous being changing my Phone platform). All my cooking henceforth will have turmeric much like all Indian cooking does. I learnt of the benefits turmeric can have for running! Turmeric is a natural antiseptic and antibacterial agent, useful as a disinfectant like any ordinary wound burns. When combined with cauliflower, turmeric has been shown to prevent prostate cancer and stop the growth of existing prostate cancer. Prevent breast cancer from spreading to the lungs in mice. Turmeric could prevent melanoma skin cancer and melanoma cell death caused by itself. Turmeric reduces the risk of of leukemia. 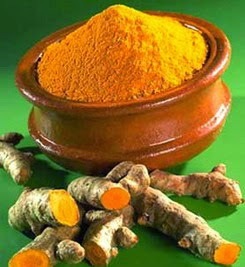 Turmeric is useful as expenditures toxins naturally from the heart. Turmeric could prevent the metastasis of occurrence of various forms of cancer. Turmeric is useful as anti-inflammatory drugs but without the side effects. Can slow the progression of multiple sclerosis. Turmeric is useful as a natural painkiller. Can aid in fat metabolism and help in weight management. It has long been used in Chinese medicine as a treatment for depression. Turmeric can be used as a natural treatment for arthritis and rheumatoid arthritis. Turmeric able to reduce the side effects of chemotherapy treatment. Turmeric is beneficial in the treatment of pancreatic cancer. However it is still in the research stage. Research shows that turmeric can stop the growth of new blood vessels in tumors. Turmeric can accelerate wound healing and assists in remodeling of damaged skin.